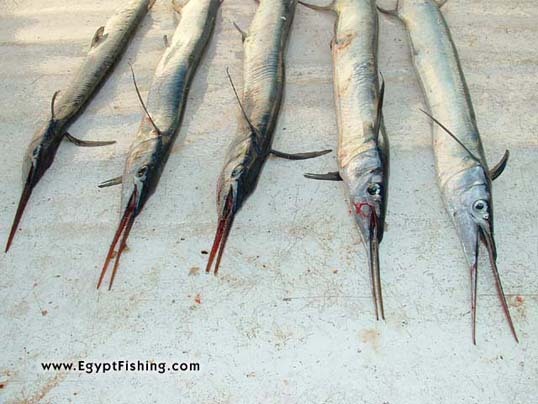 Needle fish is a saltwater surface to shallow fish hovering most water bodies on earth. 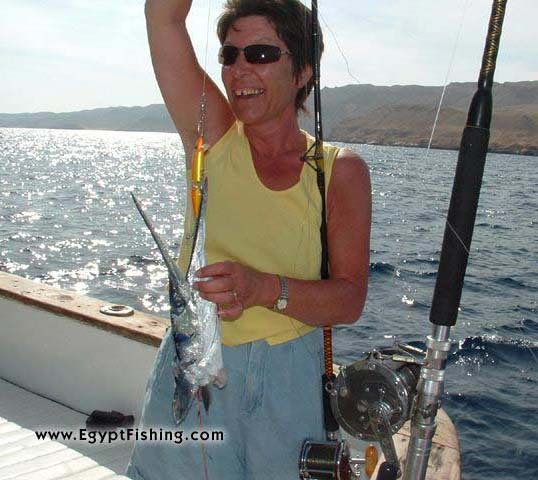 With a relatively high level of fight, needle fish is one of the preferrable fishes while angling in Egypt. 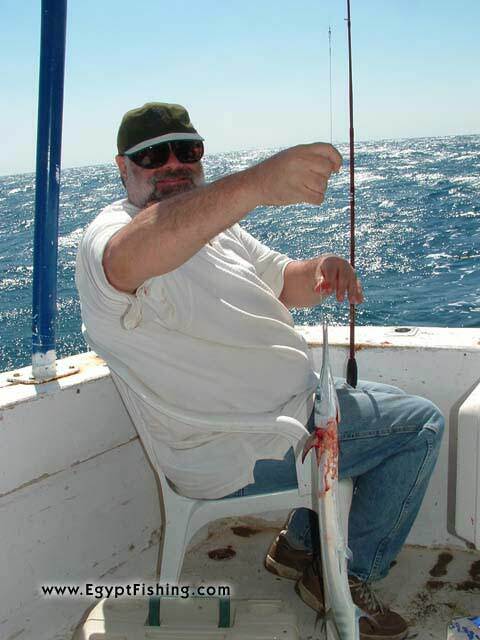 Natural cut bait has proven to be a great way to catch needle fish. 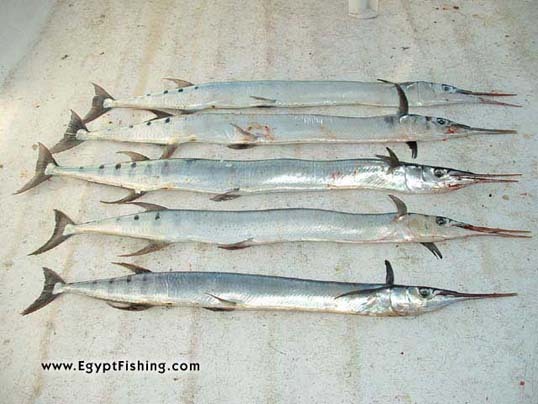 In EgyptFishing, we usually use sardine chops, whole small shrimps, mackerel fillet, squid chops, barracuda fillet, or needle fish fillet to catch needle fish. It's characterized by a long, thooty beak. 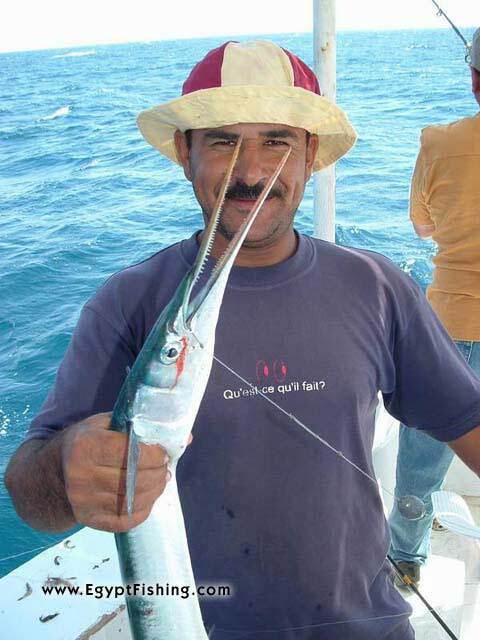 Special care should be taken while landing needle fish as the amount of fight and energy is too high, making it potentially dangerous, especially with the extra-sharp teeth sticking out of the sides of the beak. It has been noticed that "easier" baits result into much higher bite/catch ratio. 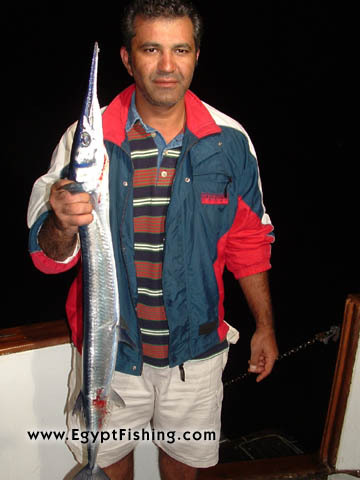 i.e., sardine fillet provides a much better chance to catch needle fish than whole or chopped sardines. Likewise, peeled shrimp (too much spoiling of fish?) 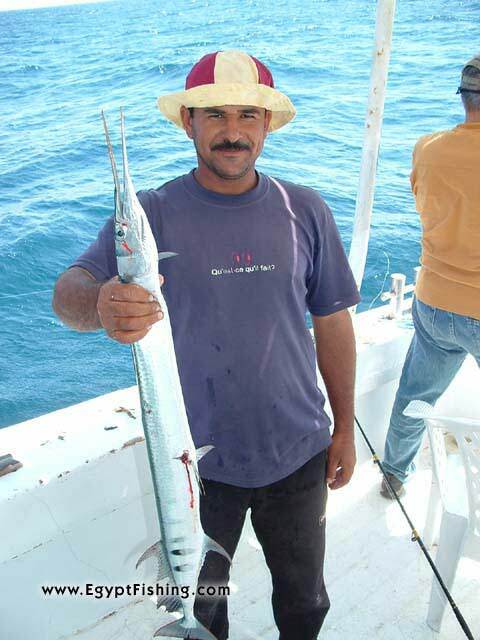 results into better catch ratio than whole or beheaded ones. 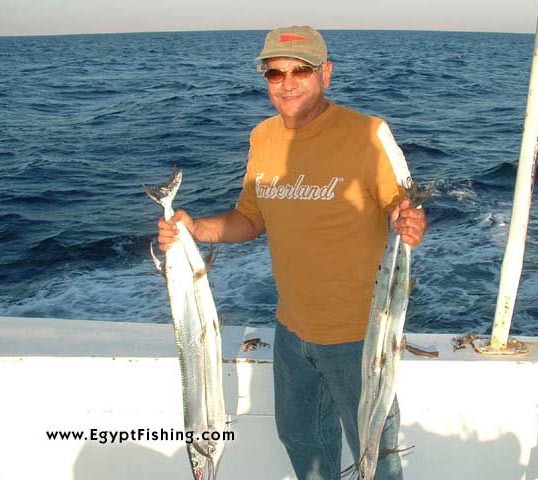 Some EgyptFishing anglers also tried flyfishing for needle fish and, just like natural cut bait, it also proved great success. 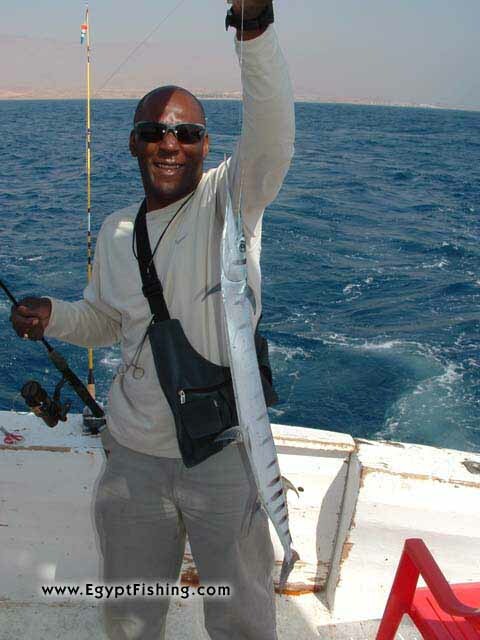 However, with respect to the amount of space required for a fly flyfisherman vs. limited space on the boat, flyfishing for needle was practiced on charters and safaris where the group size was limited, and/or not all guests practiced fishing all the time.